He’s done it! 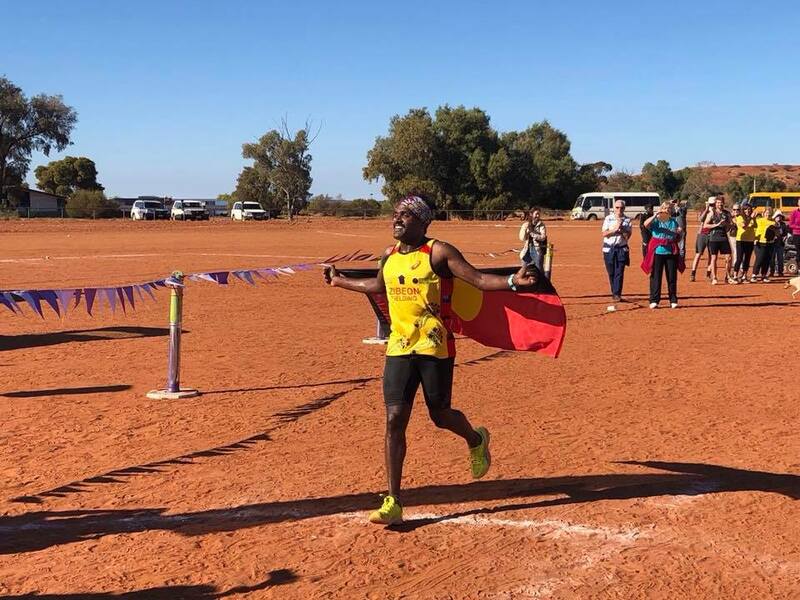 Zibeon Fielding has successfully completed an ultra-marathon through the APY Lands of South Australia raising over $50,000 for Purple House. It all began in 2016, when the 24 year-old health worker and father from Mimili community, was selected for the Indigenous Marathon Project. Zibeon and eleven other Indigenous Australians ran the New York Marathon after just six months of training, going on to complete the Boston Marathon in 2018. Both achievements were only preparation for his ultimate goal – to run an ultra marathon through his homelands on the APY Lands to raise money to see a remote dialysis clinic open there for the first time. Setting out at 4am from Indulkana Community in sub-zero temperatures, Zibeon ran the 62 kilometres to Mimili in just over six hours. He raised over $50,000 which will go towards the opening of a dialysis clinic in the nearby community of Ernabella in early 2019. Working as an Aboriginal Healthcare Worker at Mimili clinic, Zibeon is passionate about promoting healthy lifestyles to other Indigenous Australians. “I’m here to make a change with Indigenous people and their health and wanting to be a role model and lead a brighter and better future,” he said. Thank you Zibeon, from all the team at Purple House!